1. Can I really buy at wholesale prices? Yes, and it won’t cost anything to prove it to yourself. Just send us a list of your cabinets and we’ll send you a quote. 2. Which brand names do you carry? We are the exclusive nationwide distributors of Somersby Kitchen Cabinets by MasterBrand. In California we also carry Diamond Kitchen Cabinets by MasterBrand. Both lines are covered by the MasterBrand’s “Lifetime Limited Warranty”. 3. Does MasterBrand make Thomasville and Diamond Reflections? Yes, in fact Diamond, Thomasville, Diamond Reflections, Schrock, Somersby and Kemper have the same basic construction, but may differ in fashion elements (some door styles, finishes) with the various brands, much the same way Chevrolet and GMC trucks are and some Ford and Mercury car models. 4. What are the delivery charges? 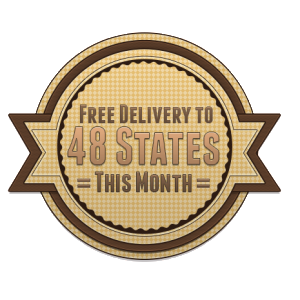 Our In-Home Delivery charge is $150 to any of the 48 states. 5. Where can I get a layout and a cabinet list? Visit the Specification Book Link here and put together a list of parts. If you have already received a quote elsewhere, and have a list of parts and layout, just fax or email us a copy. 6.Do you charge sales tax? 7. How do I get a price quote? Simply fax or e-mail us a detailed list. Our fax number is 1.800.957.3591, our e-mail address is info@kitchensforless.com. 8. Can you send a price list? With over 10,000 parts, 25 styles and finishes, no we can’t, but if you send us your list of cabinets, we will be happy to price it for you. 9. If I order the wrong cabinet can it be returned? Sorry, but no. We can guarantee to save you hundreds of dollars but you must be responsible for what you order. 10. Can you compete against the giant home centers? Yes! And you will be amazed at the savings. 11.How can your pricing be so good? Since our customers are doing the measuring and designing of their new kitchens we get to eliminate that entire layer of overhead and our customers reap the savings. 12.Do you carry either the Kraftmaid or American Woodmark Brands of cabinets? Sorry, we don’t but you’ll find our lines are very similar to both. They all have the same basic construction and almost identical door styles, with a few exceptions. 13. Once I place an order how long will it take to actually receive the cabinets? Besides our great pricing, this is where we really shine. Your factory direct order will be delivered into your home in 3 to 4 weeks. 14. What kind of warranty do you have? A Lifetime Limited Warranty from the manufacturer. 15. Do you ever have sales? Everyday is a sale with us. 16. Are your cabinets environmentally friendly? Our cabinets are certified in The Environmental Steward Program. 17. Are your cabinets made in China and assembled in the United States? No, they are made and assembled in the “Good Old U.S.A.” They also meet all of the standards of the The Kitchen Cabinets Manufactures Association. 18. Do you have an installation guide? If you have any questions about any of the above or would like to inquire about something that you don’t see on this page, simply contact or call us today at 888.500.2665. Kitchens For Less serves nationwide.